Ladies, rule the fancy dress party dressed in the Evil Madame Costume. 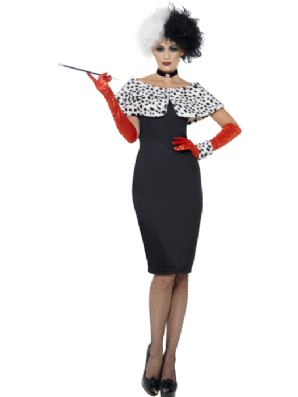 You'll look instantly recognisable in this number. Included is a dress with gloves, shrug, cuff and choker. Complete the show-stopping look with our Red Temptress Gloves and Gold Extendable Cigarette Holder.